Sell your skee ball machine for the most cash at We Buy Pinball. Working or Not. - We buy pinball machines. Sell your coin-op video arcade game for cash. Sell your skee ball machine for the most cash at We Buy Pinball. Working or Not. 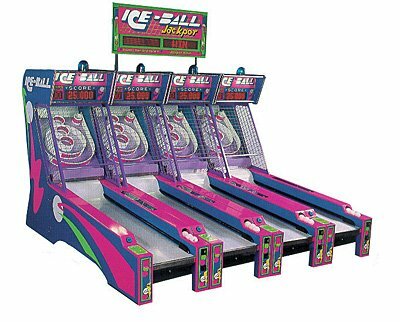 Ice Ball (skee ball) machines wanted. Or name is WeBuyPinball.com yet our expanding team of coin-op collectors love Skee-ball machine as well! Skee ball machines take up lots of precious game room real estate however they are so much fun we can’t help buy them for the most cash! Read why selling your game with us is better than ebay or craig’s list. 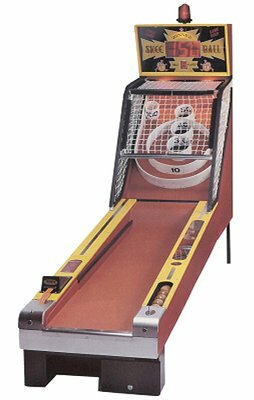 Most people sell there Skee ball machine because it simply is in the way and hardly ever used. Kids grow up and move out and games just sit there. Our collectors have been called “Grown Kids” where we spend more hours in our home game rooms than we really should. If your Skee Ball machine isn’t working correctly, we are still interested in it. It can get expensive to fix the board for these games. So please take that into consideration when selling. However, the track record on these games are impressive! They truly take a beating and keep on working for years! You can submit your game to the right from this page.